A must visit for all cigar connoisseurs, La Casa del Habano, located at Marina Royale, St Marigot offers the finest cigars to their discerning clientele. 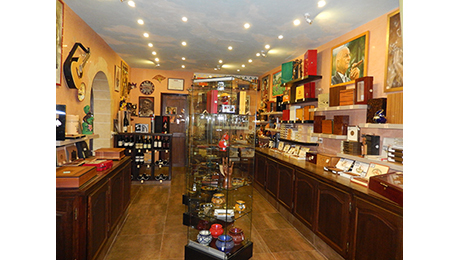 Proprietress Carole has designed La Casa del Habano to showcase her passion for Cuban cigars whilst offering visitors to the shop the comfort of a smoking lounge to sample some of the world’s finest liquors to accompany the Cuban cigars. The Art Box Gallery has opened a fabulous new art gallery opposite Simpson Bay Marina offering Zdenka’s unique gold and silver jewellery and artwork of St Maarten/St Martins most talented artists.. this stunning new gallery is a ‘must ’ to pop into, in Simpson Bay!